It’s been pretty quiet on the golfing front, with long weekends and the Pesach and Easter holidays, but we’re building up for a big May. Read our newsletter here: http://bit.ly/2VllD2G Short and sweet this week. 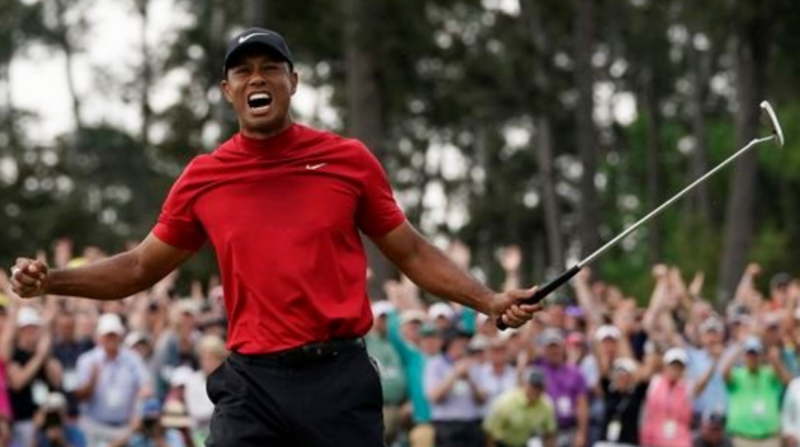 It had everything, from birdies and eagles to water balls and disasters, from lesser known players to golf’s best, but somehow the script avoided the weather, had enough good play and players to keep us all on the edge of our seats, and yet, still dished up a fairytale ending that will be the stuff of legends for a very long time. Major Season is fast approaching, and it’s only just 15 days, 22 hours and 36 minutes until The Masters tees off on Thursday 11th April, but then, who’s counting? Louis went close at the Valspar, before a bogey in the middle of the back nine left him 1 shy of Englishman Paul Casey, who successfully defended the title he won last year by beating out Tiger. Read our newsletter here: http://bit.ly/2U0nf1K Major Season is fast approaching, and it’s only just 15 days, 22 hours and 36 minutes until The Masters tees off on Thursday 11th April, but then, who’s counting? I am away this week, so apologies for the short letter. Read it here: http://bit.ly/2TFLmlz I am away this week, so apologies for the short letter. Ryan Nestadt won the 2019 Men’s Club Championship for the 2nd time, this time after an 8 year break having given up the game for a few years, but then coming back older and wiser, and certainly stronger. His ball-striking was unbelievably impressive the entire weekend, with a final approach to the tight flag on the home hole the icing on the cake, where he managed to get the ball close, very close, and in between the hole and the water, in its traditional last-round position. It’s a bit of a story! Gareth Friedlander and Liad Hadar, pictured here with The Sid Brews Trophy, had originally planned a Valentine’s weekend with their better halves in Madikwe. They then changed plans to get back late on Saturday because of their involvement in Sunday’s Betterball League team match at Houghton. But then they went and made a helluva score of 50 Stableford points in the 1st round of the first Men’s Major of the year, so wanting to ‘defend’ their lead, and obviously win a club Major, they changed plans once again, planning to tee off right at the end of the Saturday afternoon field, and they left Madikwe early on Saturday morning. Read more here: https://bit.ly/2BNdMzE It’s a bit of a story! The Epic Flash has arrived, the Pros are kicking up some dirt out in the desert, and the leaderboard for the Houghton Hunt. Find out more about what's happening at Houghton by following this link: http://bit.ly/2DUE2cN The Epic Flash has arrived, the Pros are kicking up some dirt out in the desert, and the leaderboard for the Houghton Hunt. We had a busy month at Houghton, with just over 3500 rounds being played, what with the sunrise 9-hole option and the reciprocal arrangements between ourselves and most of our neighbours, and with our track in superb condition, we found quite a few visitors booking repeat rounds after their initial one at Houghton. I hope by now you’re relaxing, winding down, or better still, chilling on the beach somewhere, organising golf for tomorrow morning with mates who you’ve bumped into as your kids or grand kids are messing around in the surf. Things are still quite hectic around the club as we show off our wonderfully-conditioned course to all the members who are still here and who chose to hang in Jozi, where there’s no traffic, and no queues to get anywhere, except to our 1st tee before 6:20am. So, as we move closer and closer to D-Day, or should I say R-Day, here are some more bits and pieces about what lies in store for us come Jan 1. Read the full newsletter here: http://bit.ly/2rx9cQF So, as we move closer and closer to D-Day, or should I say R-Day, here are some more bits and pieces about what lies in store for us come Jan 1. We finished our annual calendar year with a flourish: great weather, and our course in spectacular condition, with all the Benriach, Glendronach and Glenglassaugh whisky and Heineken beer on offer after the games, plus the delicious I Love Smoothies, and the excellent Houghton braai to boot. After 3 particularly hot days of golf just an hour away from us at Pecanwood, our team triumphed over our Nicklaus cousins to finally win back The Golden Bear. In fact, Houghton successfully defended The Bear at Pecanwood, as we won it last time it was played there 6 years ago in the normal rotation. Dudu Hlatshwayo won the final Ladies Major of the year on a nett score of 147, edging out Elaine Rubens and Sue Vyvyan-Day by just 1 point. Sue Nurick’s 67 points were just too good for the C Division Ladies, and Elaine’s gross of 178 was the best of the 2 rounds. Read this week's newsletter here: http://bit.ly/2OW9HwM Dudu Hlatshwayo won the final Ladies Major of the year on a nett score of 147, edging out Elaine Rubens and Sue Vyvyan-Day by just 1 point. I’m not sure if you noticed last week, but the text of my weekly mailer was considerably bigger. Now I can hear some of you saying that the old Pro in the shop can’t see anymore, so he had the font enlarged, but I can assure you that it’s not the case. Actually, my new multi-focals are doing an amazing job! Some of the research done turned up info that the newsletters come out too small on our phones, and we know that 45% of the newsletters opened are on your mobile devices, so we thought it would be better to ‘make the circles bigger’! Plus, we know that one of the most popular times of the readings are between 8 and 9am, and we know that your eyes aren’t yet properly open as you arrive at work, so that’s part of the reason too. The old Pro’s watching you! http://bit.ly/2PS5vD5 I’m not sure if you noticed last week, but the text of my weekly mailer was considerably bigger. Sorry to bother you with this, but I’m going to keep posting videos and images as they become available online and in social media, as the changes coming are really quite radical, and we’re going to have to get used to them pretty quickly. Also, forgive me if I post stuff repetitively, but I suppose ‘practice makes permanent’! 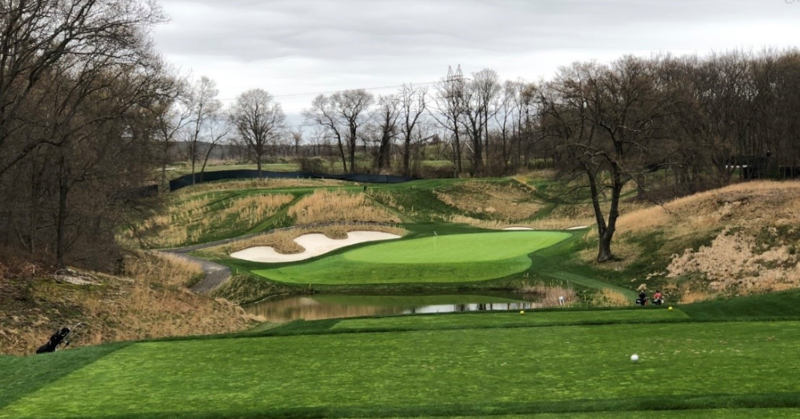 Things are pretty quiet now on the golfing front, so with getting the new handicap system done and dusted, it’s time to start looking at the new Rules governing the game, and which will kick in at the beginning of next year, just a mere 12 weeks away. 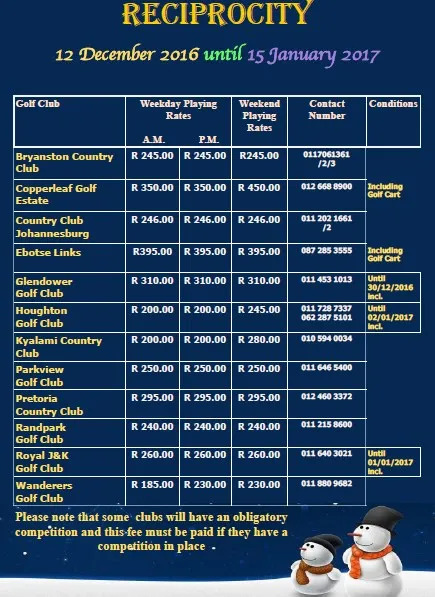 The dates have been set for our annual away trip, and this year again sees us heading down to the Ezulwini Valley for 3 days of golf and fun at the superb venue that is the Royal Swazi. We’ll drive down on the morning of Thurs the 30th Aug, play 3 rounds of golf, stay 3 nights in the resort, all meals including the Friday night dinner at a nearby Chinese restaurant, plus the Saturday lunch before our afternoon shootout (first introduced only last year), and then drive home after brekkos on Sunday morning the 2nd of Sept.
Just a quick reminder of a few things happening at Houghton GC in the next week. 1. Greg from Biomech is going to be here tomorrow (Saturday) to demo his putters. If you have any issues likes yips, shakes, tweaks etc, or just want to try something that will help you make more putts, then think right out of the box, and come and see Greg on the main putting green in front of the clubhouse between 10am and 2pm. 2. The Annual Quiz is on next Thursday the 6th of July, so if you want to book for some chow, some entertainment, and a test of your general knowledge (or lack of it), then let me know. 3. The annual Captains Dinner is on Sat 12th August at 6pm, the weekend of the US PGA Champs, and the day of our final Jack Nicklaus Major of the year. Together with Lady Captain Yvonne Johnston, we have lined up special guest speakers in Advocate Gerrie Nel and radio personality Sam Cowen, and together with a delicious 3-course meal and a prize-giving for the end of both The Houghton Hunt and The Race to Pearl Valley, it promises to be a great evening. 4. And lastly, bookings are open for the club's annual Away Trip, once again to Swaziland, and this year from Thurs 31st Aug to Sun 3rd Sept. It includes 3 nights of B&B, 3 rounds of golf, 3 dinners, loads of cash prizes for both alliance and betterball competitions, and the odd fine for 'bad behaviour'! Get your fourball together and also bring your partner with for a few relaxing days at the pool in the warm spring weather of the Ezulwini Valley. Also, you're welcome to bring guests along to join us for the golf if you're struggling to find a fourball. Sorry to bother you twice in one day, but we just realised that the reciprocity link in my letter earlier was for a Microsoft Publisher file, and it’s not opening for most, so I’m re-sending it again in another format and hopefully you’ll be able to open it this time. The best value route to better golf is to put new grips on your current clubs, a practice often overlooked by the majority of golfers. 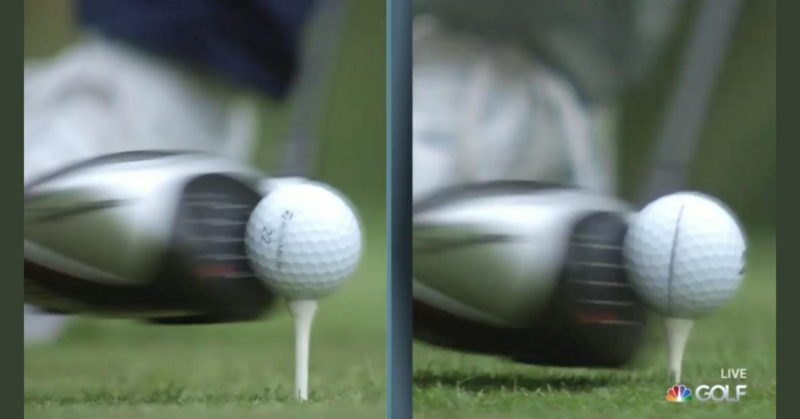 The advice is to re-grip your clubs once a year or every 40 rounds. This is a general rule. What is a definite rule, is that you'll make a better swing with new, fitted grips, and you'll hit the ball further and more consistently. 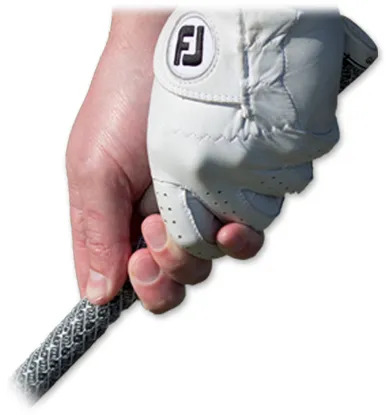 During September, you pay only R115 for the popular Golf Pride Tour Wrap grips, down from R130. You save R15 per grip!